China is the world's largest agricultural economy, consuming and supplying more than half of the world's pork, and supplying one-third of its horticultural products, rice, and cotton and close to 20% of he world's wheat, maize, and poultry. The sector also plays a significant role in China's economy, generating over 13.9% of the country's GDP in 2017. The government makes an effort to ensure the sector’s stable and healthy growth by means of structural adjustment and financial support. The sector is also gradually opening up, offering more investment opportunities. 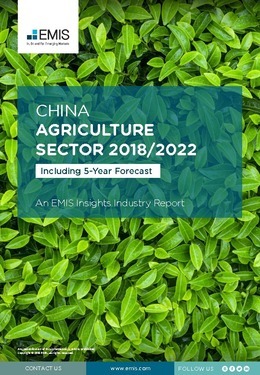 This report provides a complete and detailed analysis of the agriculture sector for China. EMIS Insights presents in-depth business intelligence in a standard format across countries and regions, providing a balanced mix between analysis and data.